Someday I think I may switch all my gauges to the AEM ones, seem like better quality, but for now these seem to be a good balance between quality and price. Dude! This is the one I had, when you get it there is a sticker that has a resistance specification. Grab a meter and ohm it, I had 3 bad ones in a row. They never got back to me with a refund or any resolution. He said they are gonna try to find a different manufacturer of senders. It was about 10psi off of what my fuel pressure was actually set to, which at least to me makes the gauge useless. Ohm the sender when you get it. Last edited by dsmghost; 06-24-2014 at 10:25 PM..
Just got the car back from DB. They buttoned up the rest of the exhaust. I was going for a subtle clean look, and as quiet as possible. They nailed it! So it's basically a 3" turbo back w/ a Vibrant Ultra Quiet resonator in the middle, and a Vibrant Oval Muffler in the rear, with a 4" rounded edge/angle cut tip. The sound is louder than stock but still very quiet. On the highway with the windows down I don't even hear it. Thanks again guys! 2jz.. lawds.. sounds good looks nice too. Sounds nice and quiet enough to not wake the kiddos! Looks great. I need to come see this some time. Good fitment and sounds great; excellent choice. Now it just needs a tune! 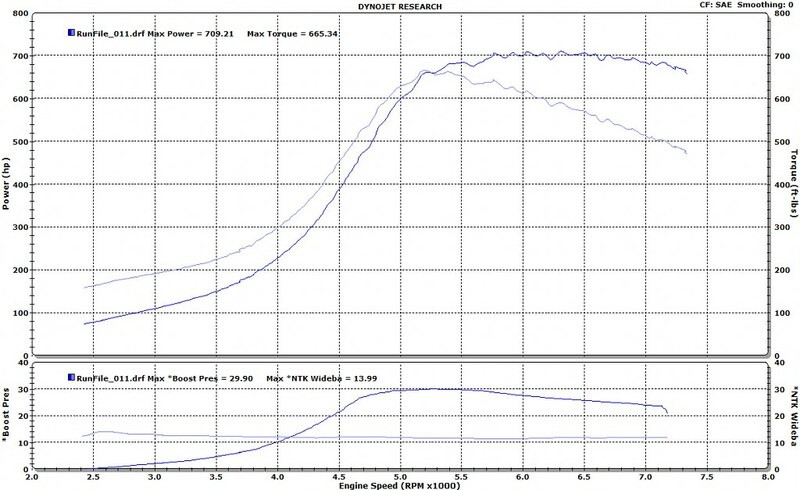 Might try some street tuning first to get it to the point where I know it'll do clean pulls, then have to try and find dyno time somehow since it seems all the local dynos are pretty booked up. Well I ran some thicker gauge wire to the coils, the old wires I think were too small and were causing it to break up. New wires in and the break-up seems to be gone, however there is some sort of strange buzzing sound coming from the rear under hard acceleration. No idea what it is yet. I looked under there and everything seems normal. I drained the diff and there is quite a bit of fine metal shavings. The magnetic drain plug was pretty coated in stuff too. Wondering if something is going bad inside there. Here's a pic kind of showing the metallic flaking. I know some small flakes aren't totally abnormal, but this seems like a lot to me. The pic doesn't really show that well but you can see some of it. Thoughts? New exhaust sounds great! Fresh fluid in the rear end and let'r buck. Drain it after some more miles and check again. +1 on a refill and running it more. I refilled with some off the shelf diff fluid to see if it would make a difference. At first I thought it did but nope, the sound is still there. I should mention it's not only a sound, you can actually feel the cars acceleration back off a bit too, so it's not just a let r buck situation. I just got done dropping the diff, will be bringing it in to get looked at on Thursday. In the mean time, I have a spare one coming that I'll swap in to see if the sound goes away. Spare one won't have LSD but that's OK, it'll just be my spare for times like this or if I grenade one at the track or whatever. Last edited by Halon; 07-29-2014 at 12:51 PM..
or if I grenade one at the track or whatever. I approve of these implications. So in the mean time while I'm waiting for the new diff, decided to work on the rear brakes. The 16" FD rims I picked up as my poor mans drag setup didn't clear the calipers by a nut hair. So I ground a couple spots down on the calipers ever so slightly. Then primed and painted them to match the fronts I did a couple years ago. Here's how the sit now drying. Then they'll get the Supra stickers and some coats of clear, and then back on the car! open for street, and have the lsd welded and swap it in at the track. or rebuild the lsd and weld the open one for the track. I'm confused, why would I want open rather than LSD on the street? I just want one rear end installed, don't want to swap them out for street/track. Just one installed, and a back-up if it were to ever grenade. The new diff showed up. I slapped a coat of primer then a coat of black on it to clean it up. Will try to get it mounted up in there over the next couple days. Also just a quick snap of the FD wheels that will become my poor man drag wheel setup.